Starting a business can be fun but overwhelming. If you are like a lot of business owners, you probably spent months or years dreaming about starting a business before taking the plunge. This can feel very exciting at first, then you realize how much work it takes to run and grow your business. As many new business owners soon discover, running a business is difficult. With so many things vying for your attention, it’s challenging to prioritize and manage your time effectively. However,If you’re serious about growing your business, it’s important to focus on those tasks and activities that will help you achieve your goals. The truth is, it takes time and hard work to build a successful business. While there’s no perfect way to grow your business, there are some things you can do to increase your chances of success. Are you clear on your goals for your business? What do you want to achieve at the end of today, in a week, a month, or in a year? As a business owner, you should have written goals to help you stay focused,motivated,and as a way to track your progress. What are you trying to accomplish in your business? What are your income, profit, and marketing goals? What do you want from your business? Is it flexibility, a part-time income, or a full-time income to replace your job? It’s important to set specific and measurable goals. For example, saying “I want to grow my email list” isn’t a specific or measurable goal. A specific and measurable goal would be to add one hundred subscribers to your mailing list in three months. At the end of the three months, it’s easy to evaluate your performance to see if you met your goal or not. By narrowing down your goals, and focusing on what you need to do to achieve them, you set your business up for success. Once you’ve specified your goals, the next step is to come up with a plan to accomplish them. Without a plan, chances are you’ll end up at an unintended destination. Many business owners understand the benefits of planning – but they never actually get round to doing it. You need a plan if you’re serious about achieving your goals. To be effective, your plan must include all the steps you need to take to reach your goals. When creating a plan, write out the steps you need to take.This way you can cross each one out as you complete them. Do you anticipate any challenges or obstacles? How do you plan to navigate them so they don’t derail you or cause you to abandon your goals? Include them in your plan.When you expect bumps on the road, they can’t stop you. Hope for the best but be ready for stumbling blocks/obstacles. Be careful not to get stuck in all the small details of goal setting or creating a plan or you may end up with analysis paralysis.You can always go back to review your goals and action plan and tweak them as necessary. The important thing is to begin the process so you can have something to work it. Remember the best plan is the one you carry out. Do you often find yourself ready and motivated to do something – and then hours, days, weeks or months later you discover you haven’t done anything at all? Do you always have a reason or an excuse why you keep putting things off? Do you often make excuses or delay taking action? I need to learn one more thing before I can do…. Identify what’s holding you back (fear, a chore or task you dislike, laziness, social media, web surfing etc), and figure out a way to deal with it. It’s important not to get caught up in overwhelm or procrastination which goes on indefinitely. You have to take action if you want to grow your business. Yes, that includes doing some tasks you don’t like or aren’t excited about. Sometimes you just need to buckle down and do the work. The longer you put something off, the harder it becomes. So go ahead and make that call, or send out that invoice, or organize your paperwork. Whatever it is that you have been putting off, it’s time to deal with it. One of the biggest challenges a lot of small business owners face, is finding the time to complete all the necessary and day-to-day tasks. With only so many hours in a day, it’s important to practice good time management. A good place to start is to decide your priorities. Are there activities you are doing because you’ve always done them, and not because you need to do them? Get rid of any unnecessary task or activity! Some of the ways you can practice effective time management include: prioritizing your work, staying organized, creating systems and processes for recurring tasks, minimizing distractions, and focusing on one thing at a time. If your goal is to grow your business, you have to become more discriminating in your choices. Learn to say yes only to those things and activities that will lead you to your goal. Anything that doesn’t bring you profit or knowledge is not worth doing when you’re trying to grow a business. That means being intentional in your decisions. In practical terms, it means not signing up for a one-hour webinar on how to create courses, if your current goal isn’t to create a course. So take a look at all the things you’re focused on now. Are they helping you to meet your goals? If not,then try to align your actions with your goals.Scale back a few commitments so you can pursue your goals. How much importance do you place on your personal and professional development? As a new business owner, you need to learn all you can about entrepreneurship.If you lack knowledge in a particular area, then it’s your responsibility to educate yourself. Start by figuring out what you need to learn to help you grow your business. Do you need to learn about sales and marketing? Do you need to learn how to grow your email list or create digital products? Once you have identified what you need to learn, set educational goals and create a learning plan. You need a learning plan to streamline and focus your learning. Many small business owners suffer from information overload because of the ton of free and useful information that’s available on the web. Self education requires discipline and commitment that’s why you need a learning plan to help you stay on track. The way I learn new things is by reading books, blog posts, and listening to podcasts, or webinars. Identify your learning style and don’t be afraid to invest in books, courses or workshops to fill any gap in your knowledge. 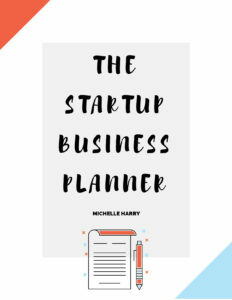 If you’re a new business owner, you can start by checking out this post 5 Books For New Business Owners. Don’t ever use a lack of skill or knowledge as an excuse for not achieving your goals. Knowledge breeds confidence. When you have knowledge about a subject then you can make decisions confidently. Having a positive mindset can make a big difference in your business. It’s important to have faith in yourself and be confident. Ditch preconceived notions and other limiting beliefs that are holding you back. I know it is difficult to stay positive when you’re going through challenges in your business, but I find that I am more productive when I feel positive. A positive mindset gives clarity to your thoughts and actions. You begin to see possibilities and you can start to visualize a successful business. Get inspiration from other successful business people. You can find lots of books about entrepreneurs who started with nothing and became very successful. Have an inspiring purpose for your business beyond just making money. Keep your purpose or your why front and center. Surround yourself with people who motivate and inspire you. Avoid the comparison trap and shiny object syndrome. Be grateful for what you have and where you are. Believe that your time will come. Celebrate your successes and small wins. Set new and realistic goals. Find ways to keep improving your business and as a person. Keep challenging yourself. If you’re stuck in a rut, don’t be afraid to ask for help. There are so many ways to stay motivated and positive in business. Hopefully, some of the tips above can help you stay motivated through good days and bad days. Networking and finding mentors are two of the most common challenges female entrepreneurs face. But If you really want to succeed, you have to make an effort to connect with other business owners. Many small business owners fall into the trap of trying to go it alone, but that isn’t very smart. Entrepreneurship can be lonely especially if you’re surrounded by negative and unhelpful people (like friends and family members). To succeed, you must interact and collaborate with people who understand what you are trying to do. Face-to-face networking is a good way to meet and connect with other local business owners. But that isn’t the only way to network. You can join online groups with people who are on the same path as you. You can also search for virtual mentors if you can’t find any around you. Networking can open up new opportunities for your business and can definitely help you grow your business. This post How to Professionally Network as a Small Business Owner has a lot of useful tips. Check it out. Understanding your customers and knowing their pain points. Paying attention to what they are buying or which services they request the most. Ask for feedback. Pay attention to what your customers are saying. Refine and tweak your offering based on the feedback you receive. Don’t be afraid to change or pull a product or service which doesn’t offer any value. Find ways to make your customer’s experience as easy and positive as possible. With so many choices available to buyers, you have to find ways to stand out from the competition and build a tribe of loyal customers. Stay current on industry trends. Check out your competitors to see what they are doing, and what’s working for them. I am not telling you to copy them, but it’s good business practice to check out the competition from time to time. If your goal is to grow your small business, you have to make the necessary changes and do all you can to stay ahead of the competition. Many business owners pursue success at the cost of their health. When you are a new business owner, you feel like you have to work all the time because there are so many things to do and you have to do them all by yourself! I know the feeling all too well. Exercise and a good diet are the first things we sacrifice in our quest for entrepreneurial success. However, we risk burnout and other health issues if we continue on this path for too long. Nurturing your emotional and physical health (get more sleep, exercise, eat healthy meals, avoid excessive stress). Seek help for any medical or health issues. You can’t get ahead if you have medical issues that are not controlled or managed. Participate in activities you enjoy. Find one or two hobbies you can enjoy. Get social. Find free or paid recreational activities to relax and refresh your mind. Recharge your batteries from the daily grind. Limit your working hours. Set aside time each day where you only do non-work related stuff. Disconnect and unplug from work. That may mean not checking emails or answering your phone, or checking your social media accounts. If your goal is to run your business for a long time and to enjoy success from your business, then you must learn to put yourself first. Stress and burnout are real concerns for small business owners, that’s why you shouldn’t run yourself ragged all the time. This post The Importance of Self-Care as an Entrepreneur has a lot of helpful tips. Go read it! Growing a business can feel like an uphill task but you can do it. Just remember it isn’t a sprint but a marathon. 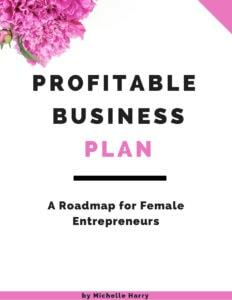 To recap, set business goals, create a plan to execute your goals,avoid procrastinating, practice good time management, invest in yourself,motivate yourself and stay positive, network with other business owners,keep improving your products or services, and practice self-care. Did I leave any thing out? 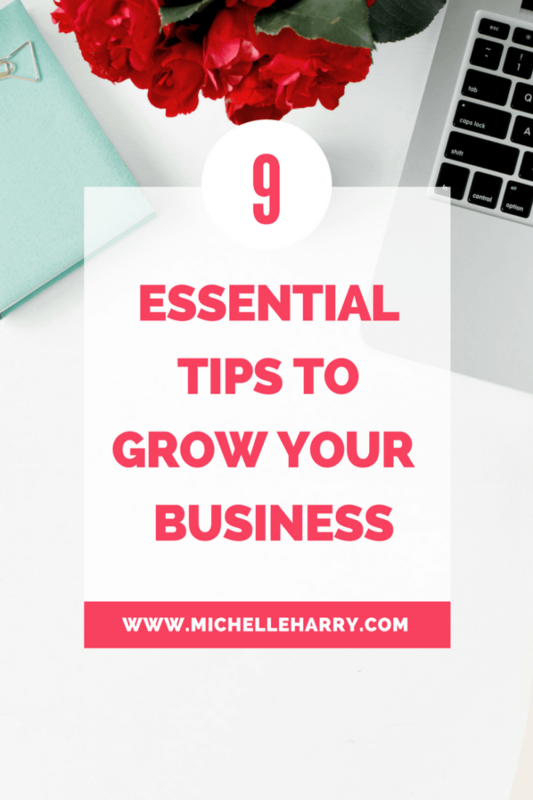 How are you planning to grow your business? Share some of your tips or suggestions below! Want to increase your business profits?join the FREE Build a profitable Business 5-Day Email Course. This site contains affiliate links. Pages on this site contain affiliate links, and help my family meet our financial goals. Michelle Harry is a participant in the Amazon Services LLC Associates Program, an affiliate advertising program designed to provide a means for sites to earn advertising fees by advertising and linking to Amazon.com.I will only recommend and promote products that I have used and will state if I received compensation or not. The views and opinions expressed on this site are mine only. Thanks for your support. We collect information from you when you subscribe by email or to our newsletter. The information we collect may include your name, email and any other personal information submitted by you. We will not sell,share or rent out your information to third parties for marketing purposes.Your personal information will only be used for the purpose for which it was collected. Grow Your Business And Enjoy Financial Freedom. Get tips and inspiration,plus the occasional discount on my services + products. Join the FREE Build a Profitable Business Email Course Today!